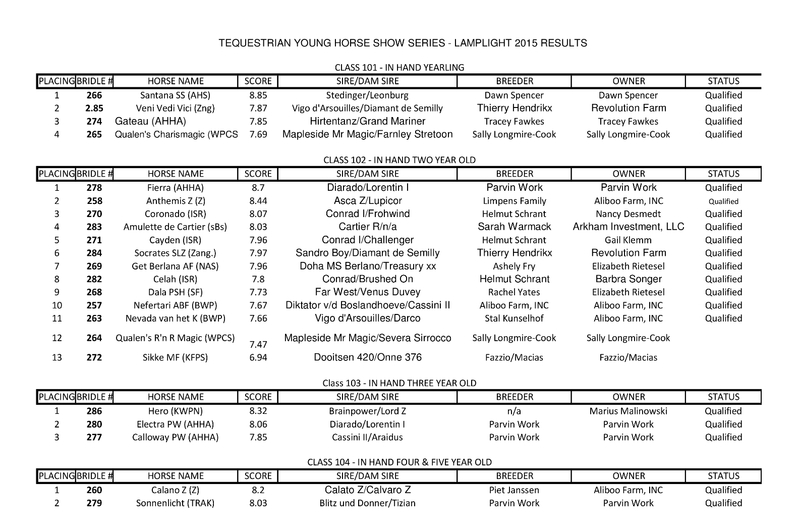 Wayne, IL – June 28, 2015 –The Tequestrian Farm Young Horse Show at Lamplight Equestrian Center in Wayne, IL on Saturday, June 27, 2015 celebrated its second year along with considerable growth. 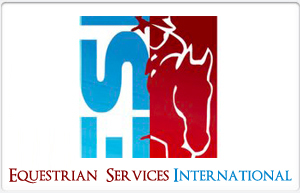 The show, organized by Jean Yves Tola, is for young horses of all disciplines 1-7 years of age. 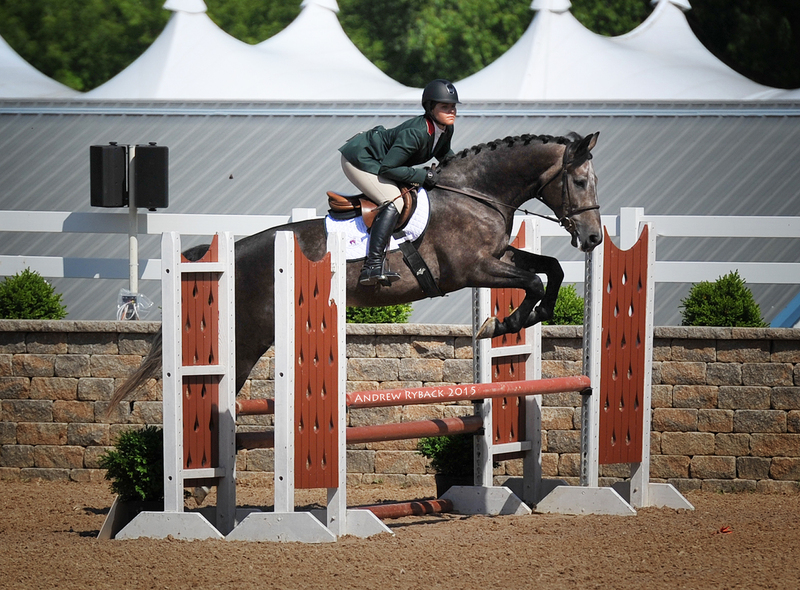 It is a qualifier for the 2015 Spy Coast Farm Young Horse Finals, which take place November 6-7, 2015 at the Tryon Equestrian Center. 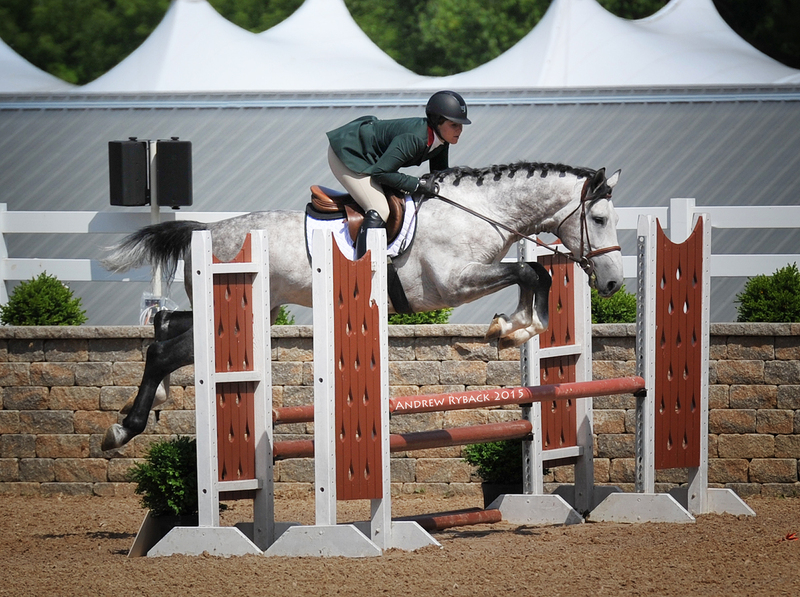 The judge, Jos Sevriens of Newnan, GA, a notable USEF breeding judge, had his work cut out for himself as he sorted through the numerous entries to score each one. 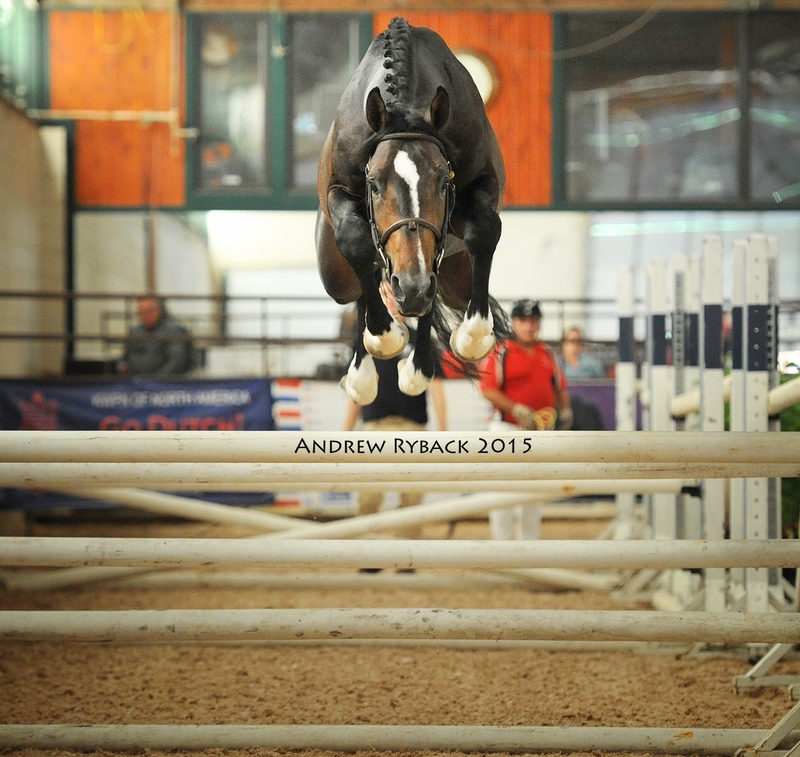 owned and breed by Dawn Spencer. 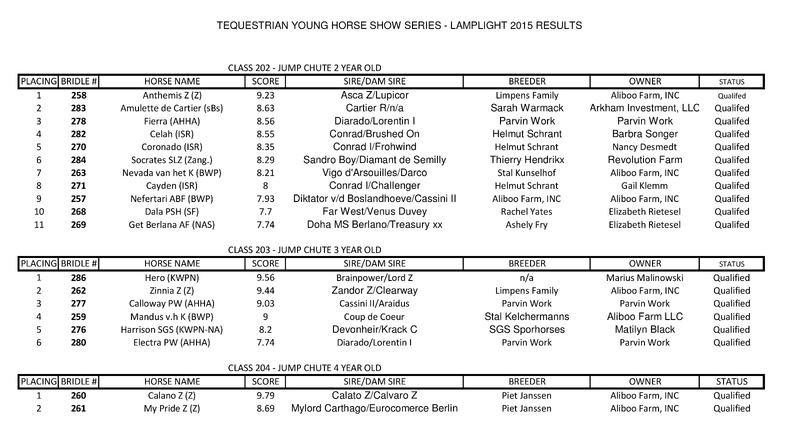 Winner of the in-hand for three-year-olds was Hero (KWPN) (Brainpower/Lord Z) owned by Marius Malinowski with a score of 8.32. The four and five-year-old in-hand winner was Calano Z (Calato Z/Calvaro Z) owned by AliBoo Farm and bred by Piet Janssen, scoring 8.2. 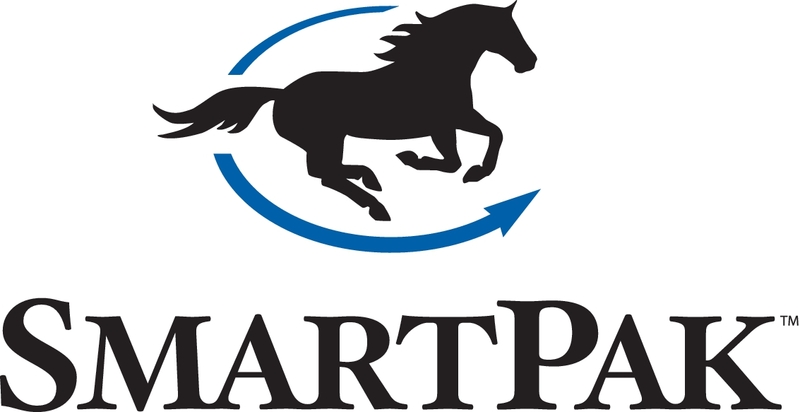 In the under saddle sections it was Marilyn Black’s Harrison SGS (KWPN-NA) (Devonheir/Krack C) with the highest score of all the under saddle horses, 8.03, claiming the blue in the three-year-olds. 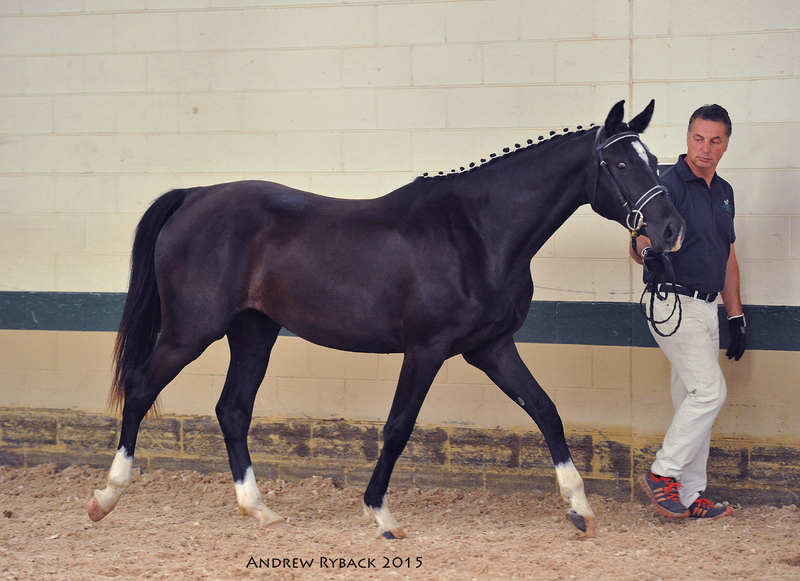 The five-year-old under saddle went to Foster (ISR) (Frohwind/Ratibor) owned by Klammer/Bush with a 7.48. 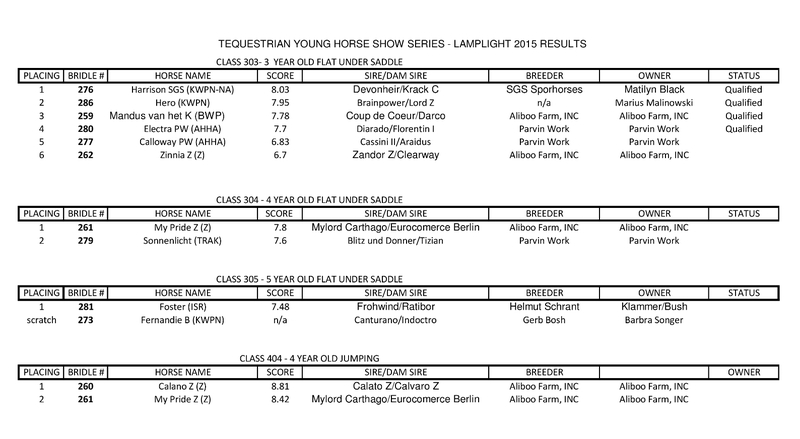 AliBoo Farm claimed both the first and second place spots in the four-year-old jumping with Calano Z (Z) (Calato Z/Calvaro Z) scoring 8.81 and My Pride Z (Z) (Mylord Carthago/Eurocomerce Berlin) scoring 8.42. 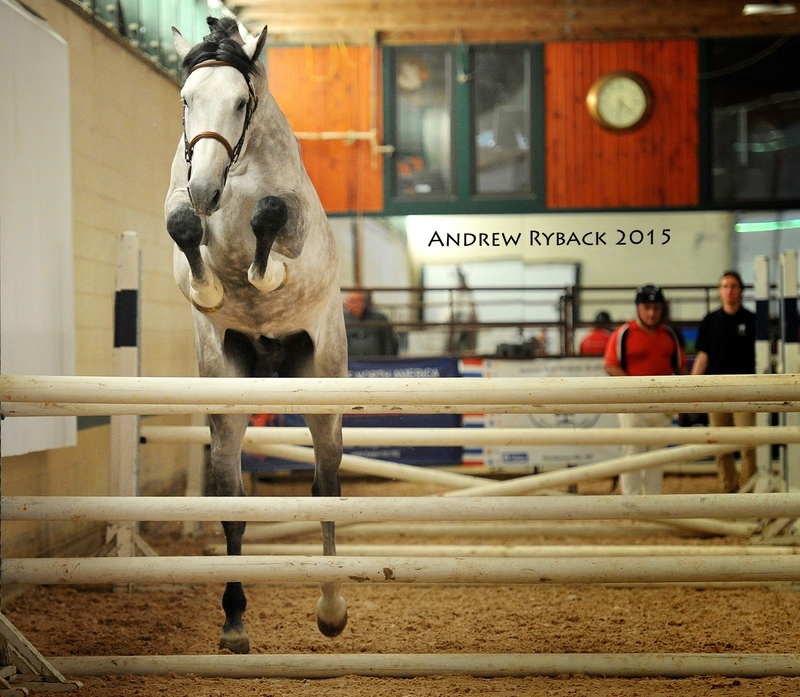 AliBoo Farm's My Pride Z. 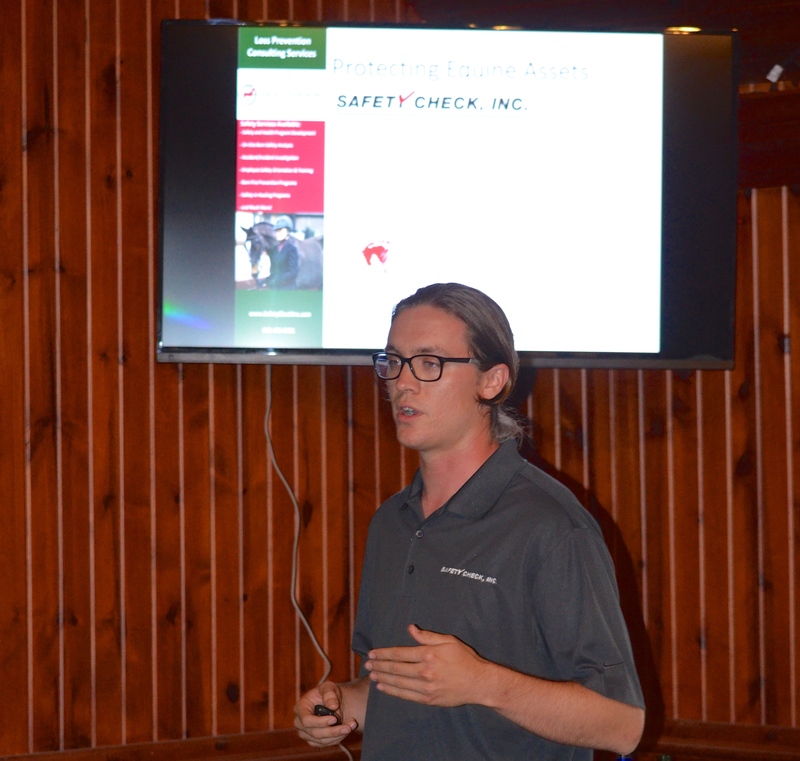 On Friday, June 26, 2015, AliBoo Farm, Inc. treated exhibitors to a lovely party and arranged for Safety Check, Inc., an expert in the realm of safety and health compliance, to hold a brief seminar discussing several safety and liability matters relevant to the equine industry. 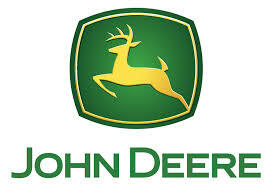 Topics included barn fire prevention, trailering precautions, and other matters of consideration to take in to account when insuring the safety of you, your employees, and your horses. Safety Check, Inc gave a presentation. 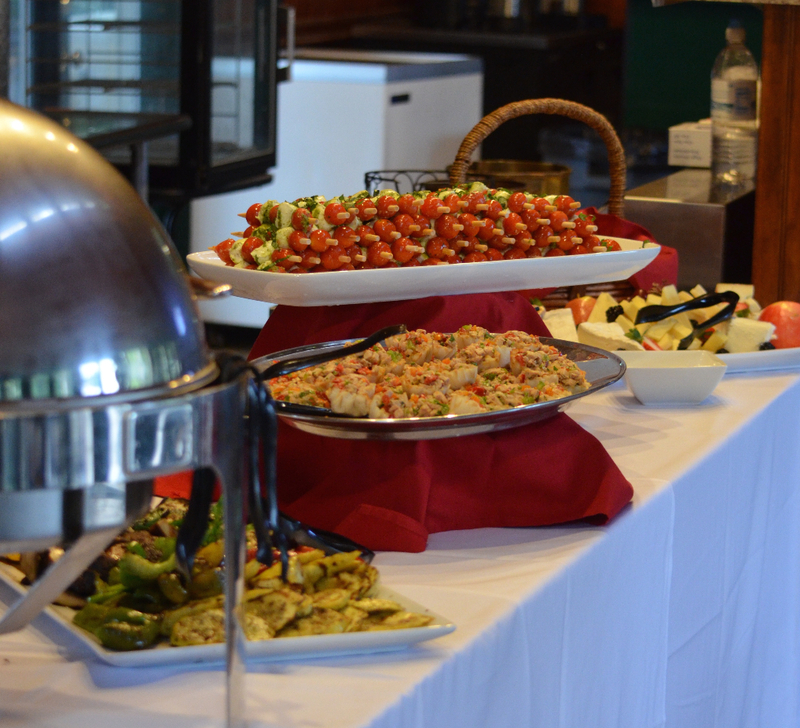 Sponsors of the event included Tequestrian Farm, Footing First, Safety Check, Inc., Munky Sunk Stables, Page Brook Farms, Lamplight Equestrian Center and AliBoo Farm. For more information on the event contact Nina Moore at info@lamplightec.com or visit the website at www.lamplightequstriancenter.com. 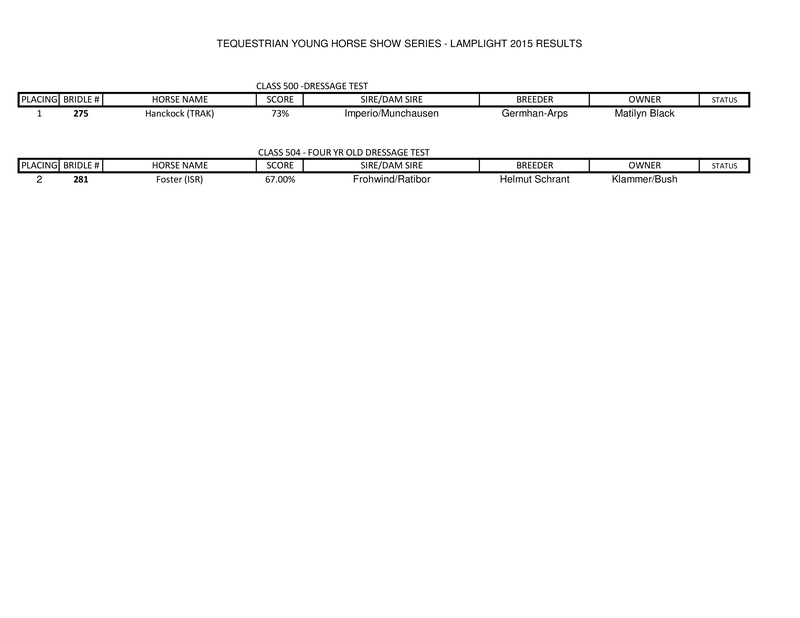 For more on the Young Horse Series and current standings, visit www.younghorseshow.com. 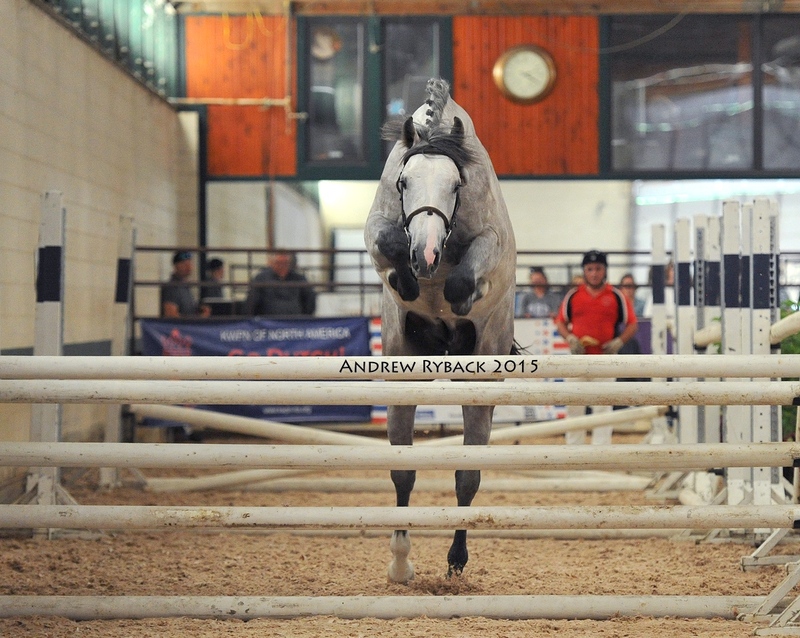 Photos copyrighted by Andrew Ryback Photography and may only be used with this release in it's entirety. Permission must be issued for any other use including social media. Click here to order.